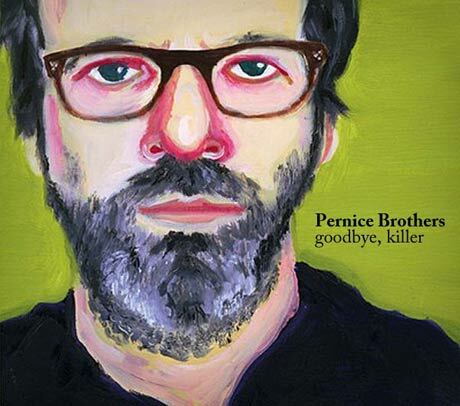 Long-running indie rock literary types the Pernice Brothers have built one solid career with their richly layered pop songs. And while they have five full-lengths and a live album under their belt, the group haven't released anything since 2006's Live a Little. This summer, that will change as the band are finally set to release a proper album follow-up. The effort is called Goodbye, Killer, and features the usual line-up of Joe and Bob Pernice, along with the Pretenders' James Walbourne and Velvet Crush's Ric Menck. Joe mentioned the album on the Pernice Brothers' site in January, saying that "it doesn't sound like a Joe solo record, and it doesn't sound like a Pernice Brothers record. It also doesn't sound like a Chappaquiddick Skyline record." In a recent press release, Joe Pernice also described the band's current working relationship. "My brother Bob once said that he started playing guitar when he was six, and 30 years later still played like a six-year-old. How true, how true," Pernice said. "He also engineers like a six-year-old, which is seriously, a very, very good way to engineer. In my opinion, he did a great job capturing the sound of a band. And all hyperbole aside, recording great musicians like James Walbourne and Ric Menck doesn't hurt." Ashmont Records will release Goodbye, Killer June 15. The album will drop in Europe the day before on One Little Indian.